Mackie Sutton graduated from the University of Tulsa with her Bachelor of Science in Nursing and proceeded to work in a variety of different hospital and clinical settings before returning to school to obtain her Master of Science in Nursing from Case Western Reserve University. She is certified as an advanced practitioner in Women’s Health, Family Practice, and Oncology. 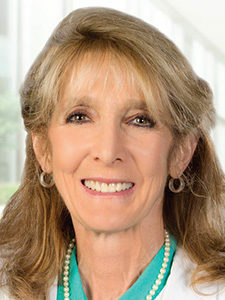 Sutton joined OCSRI in 2010 and is certified by the American Academy of Nurse Practitioners, Oncology Society Certification Corporation, and National Certification Corporation. She has experience in clinical research with Phase II and Phase III clinical oncology trials and has served as an investigator participant in multiple diagnoses sites, including gynecologic oncology. She has also volunteered and participated in numerous community clinics over the years in the Tulsa area.